Euro is still falling; the pair has broken consolidation channel downwards. 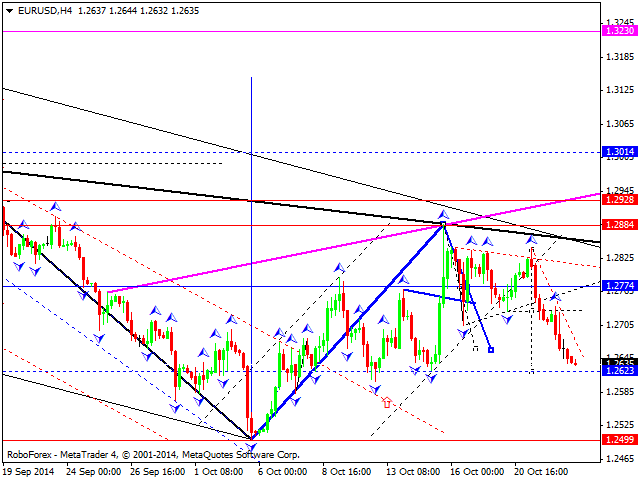 We think, today the price may move downwards to reach level of 1.2623. Later, in our opinion, the market may consolidate and then form a reversal pattern for a new ascending wave to break the top of the first ascending impulse. 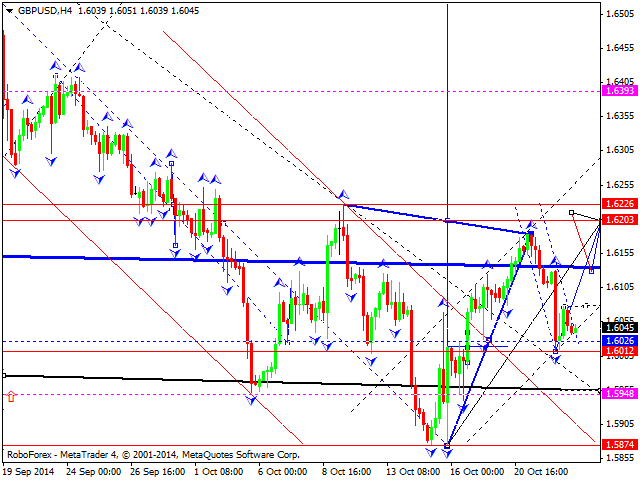 Pound has completed an ascending wave and right now is being corrected; the pair has reached its downside targets. We think, today the price may consolidate and form a reversal pattern, and even start the third ascending wave to break the top of the first ascending impulse. Franc is moving inside an ascending channel; the pair has broken a consolidation channel upwards. We think, today the price may reach level of 0.9588. Later, in our opinion, the market may consolidate and form a reversal pattern for a new descending movement. 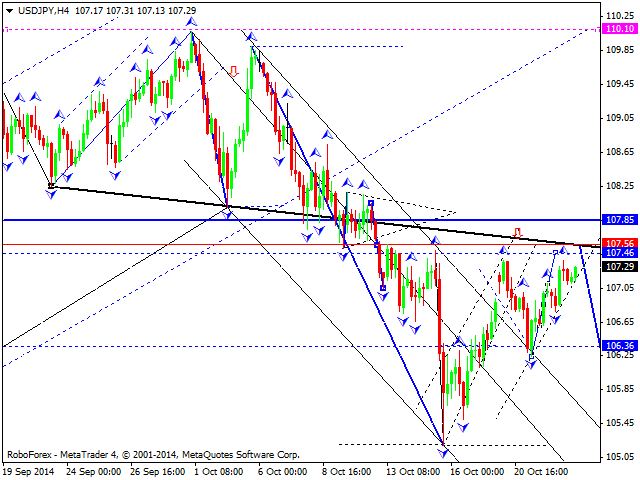 Yen is moving inside the fourth ascending wave, which may be considered as a correction towards level of 107.56. Later, in our opinion, the market may consolidate and continue moving downwards. The next target is at level of 105.00. 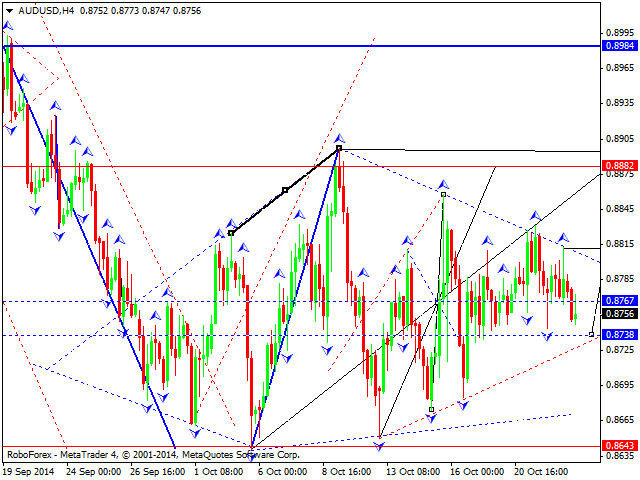 Australian Dollar is still moving inside a consolidation channel without any particular direction. 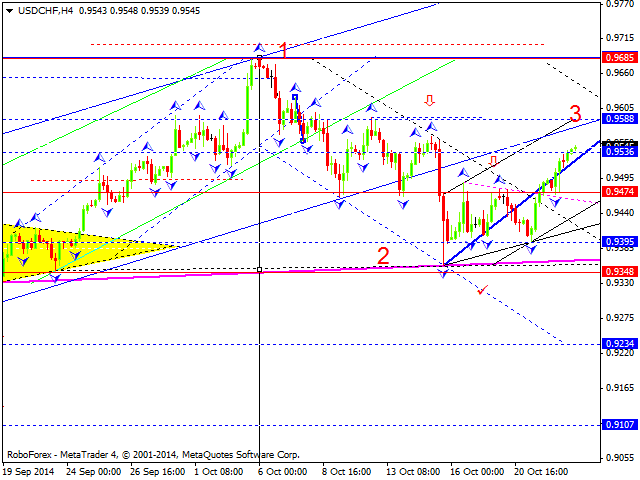 We think, today the price may reach level of 0.8738 and then grow towards the channel’s upper border. The main scenario implies that the pair may move upwards to reach level of 0.8880. Ruble has left its consolidation channel upwards and right now is moving to reach level of 41.67. Later, in our opinion, the market may test level of 41.26 from above and then grow towards level of 41.95. We should note that the pair is extending the third wave so far and may start a descending correction at any moment. 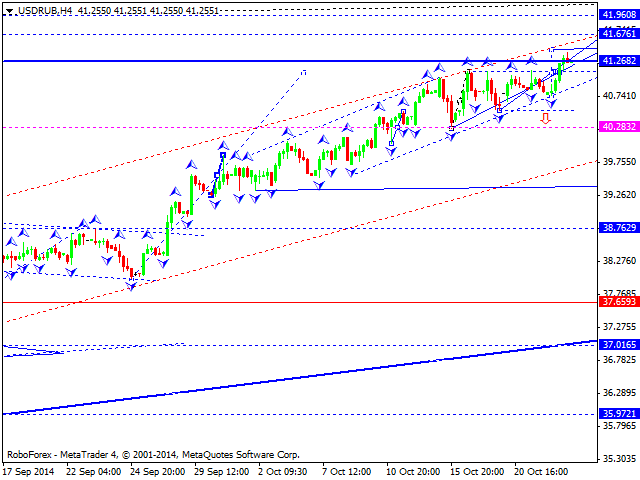 The main target of this correction is at level of 34.00. Gold is still moving inside a descending structure. 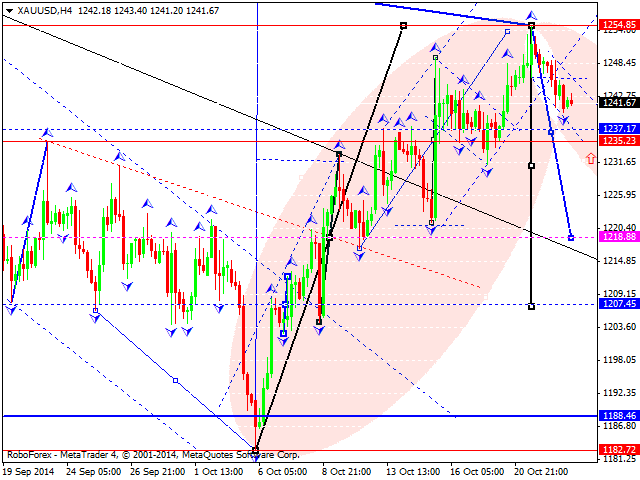 We think, today the price may reach level of 1237; it is the minimum target of this correction, which may continue. However, the main scenario suggests that the market may form an upside continuation pattern to reach level of 1261.